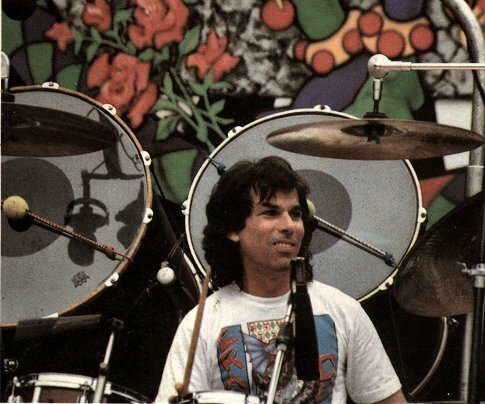 During a late Saturday night Little City in Space show in 1980, broadcast via KFAI studios at the Walker Church in south Minneapolis, LCS producer Stu Mathews taped Mickey Hart and Bill Kreutzmann of the Grateful Dead who were giving their spoken testimonials on behalf of the non-profit, volunteer-run radio station. After finishing recording, Mickey and Bill gave money to Stu for helping as they left the KFAI Walker Church studios to rejoin the rest of band in Minneapolis for a concert. Actually, the concert was finished. I was at a Grateful Dead Party after-concert with friends, wondering why Stu was playing a repeat show. Peter, you are correct that the concert was finished. In fact, you can hear talking about going to their own party to ‘feed their heads’ !! !